Discover the story of Jewish life in the UK from the Norman conquest to the 21st century. 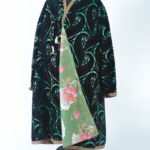 Our world-class collections of Judaica and Jewish social history include ceremonial art, prints and drawings, objects reflecting everyday home and working life, photographic and oral history archives. 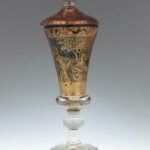 The collections include particularly rare items within the Designated collection of Jewish ceremonial art, which is considered among the finest in the world. 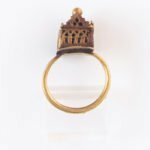 Highlights include a 16th century Venetian synagogue ark and magnificent silver Torah ornaments from the Great Synagogue in Duke’s Place, City of London, destroyed during the Blitz. Explore objects from our collection through our online exhibition, Jewish Britain: A History in 50 objects. We have one of the world’s finest collections of Judaica, featuring objects used in all areas of Jewish religious life, in both the public and private spheres. In addition to ceremonial art made in Britain over the past 300 years, we also display objects originating in communities throughout Europe as well as the Middle East and north Africa. A significant part of our synagogue art collection includes silver Torah decorations such as scroll cases, rimmonim (finials), breastplates and pointers, which emphasise the exquisite quality of English and European silver. Our collection of ceremonial objects used in the private sphere includes those used by Jewish individuals and families in everyday life, in lifecycle ceremonies and during the Sabbath and festivals. Significant festival-related pieces include our range of Hanukah lamps and Scrolls of Esther for Purim. 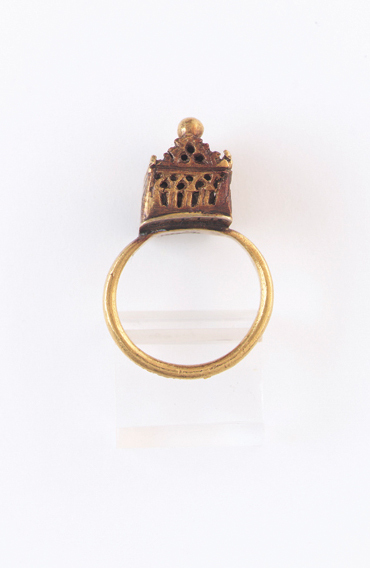 Marriage ring: 14th-century marriage ring from Germany, featuring a Gothic building. 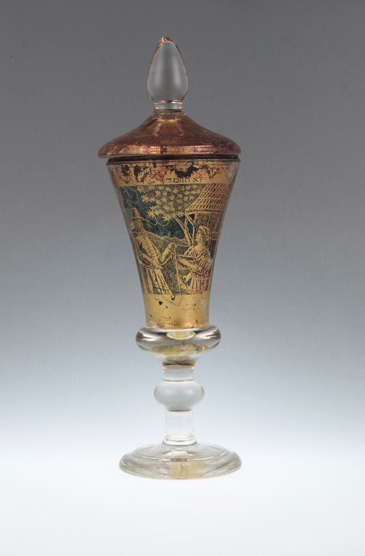 Cup of Elijah: Bohemian glass goblet for the Passover Seder, depicting scenes from Elijah’s life. Jews first settled in England in 1066 and there were Jewish communities in many towns in the medieval period. However, in 1290 Edward I expelled the Jews and there was no official Jewish settlement in England until readmission under Oliver Cromwell in 1656. This new community quickly put down roots, becoming steadily more established until the late 19th century when it increased rapidly with the arrival of some 150,000 Jewish immigrants from Eastern Europe. 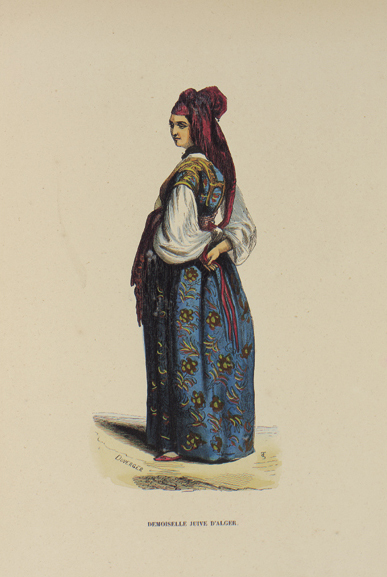 Many of the newcomers settled in London’s East End, which became home to a vibrant cultural and religious life. In the 20th and 21st centuries Jewish people from many countries have migrated to Britain and today the diverse community continues to play a significant role in British life. Our social history collection is made up of objects, documents and oral histories charting the many stories and experiences of British Jewish life. It highlights the experience of migration and the challenges faced in building a new life in a different country. 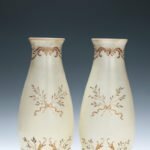 Glass vases: Late 19th-century glass vases depicting Lazarus Haffkine and his wife Sonia. 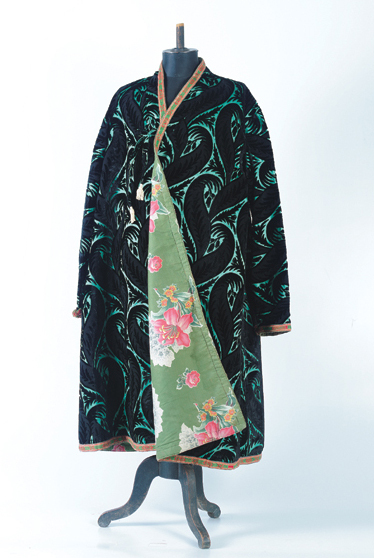 Barmitzvah robe: Robe worn by Michael Issacharoff at his barmitzvah in Bukhara, 1933. 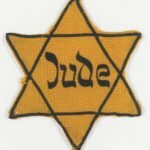 During the 1930s the situation for the Jews of Europe under the Nazis became increasingly difficult and many people tried to leave. Between 1933 and 1939 around 70,000 of these refugees were admitted to Britain, including 10,000 unaccompanied children who came on the Kindertransport. Following World War II some Holocaust survivors came to Britain to try and rebuild their shattered lives. The museum collects objects, documents, photographs and oral testimonies in order to record and preserve the experiences of refugees from Nazism and Holocaust survivors. One of our most important collections relates to Leon Greenman, OBE, an English-born Auschwitz survivor who devoted his life to speaking about his experiences and campaigning against racism until his death in 2008. 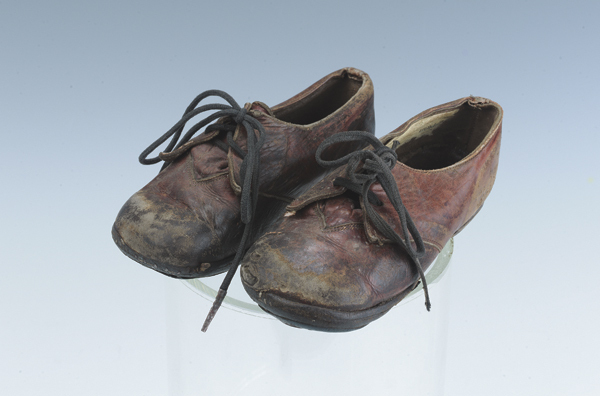 Shoes of Barney Greenman: Barney Greenman, born March 1940, and his mother were killed at Auschwitz. 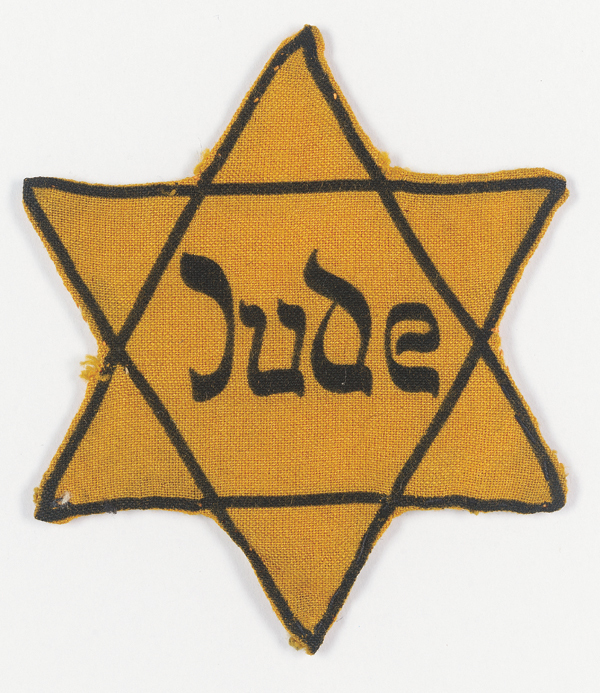 Yellow star badge of the Meninger family: Yellow star badge worn by Jews under Nazi rule, from the Meninger family of Vienna. 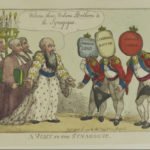 We are proud to hold one of the world’s most extensive collections of prints and drawings relating to Jewish life, built around the collection assembled by Alfred Rubens, one of the museum’s founders. 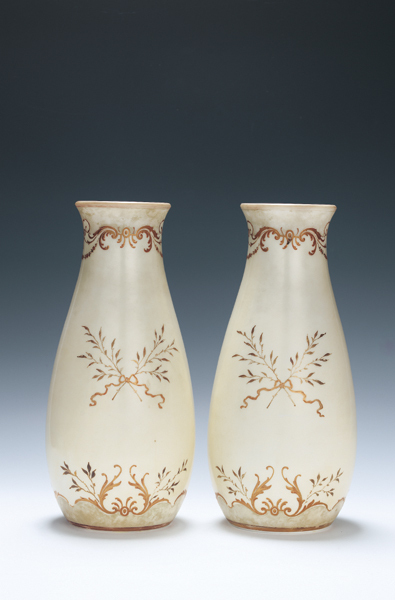 We have over 2,000 pieces dating from the 15th to the 20th centuries. 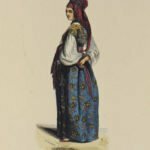 The prints show images of Jewish life and personalities from across Europe as well as antisemitic cartoons, 19th-century English political caricatures, beautiful Jewish costumes from around the world and even an etching by Rembrandt! We also have a notable collection of works by Pre-Raphaelite artist Simeon Solomon and some high quality paintings by artists such as Thomas Hudson, Tilly Kettle, Solomon Hart and Abraham Solomon. These include portraits of distinguished members of the community, in particular early rabbis of the Great Synagogue who effectively acted as Chief Rabbi of England. 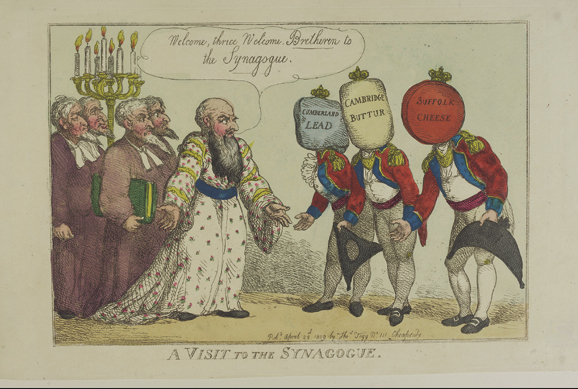 Political cartoons: Satire on the visit of the Dukes of Cumberland, Sussex and Cambridge to the Great Synagogue, Duke’s Place on 14 April 1809. 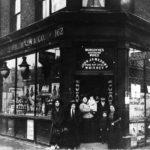 The largest category of images in our photographic archive are black and white photographs of Jewish life in London dating from the 1900s to 1940s. Particular strengths include Jewish shops, tailoring workshops, studio portraits of families, school classes and images from Yiddish theatre. Wedding photographs include many examples by the renowned East End photographer Boris Bennett. 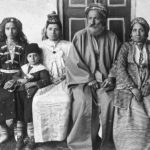 The archive also reflects the origins and traditions of immigrants from Eastern Europe, refugees from Nazism and immigrants from the Sephardi diaspora across the Middle and Far East, including Iraq, Iran, Aden and India. We also actively photograph a wide range of aspects of British Jewish life today, bringing the photographic archive right up to date. 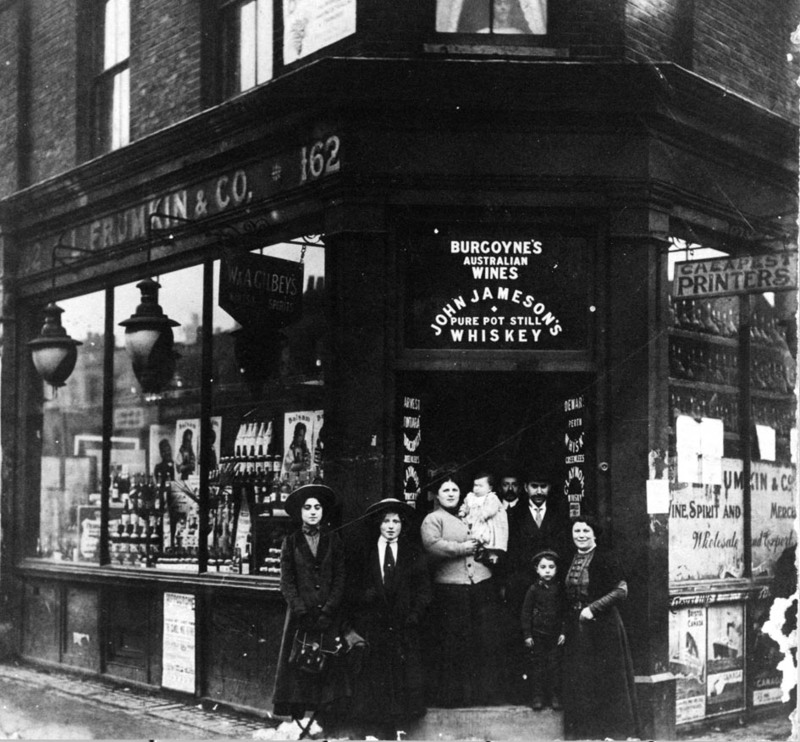 The Frumkin family: The Frumkin family standing outside their kosher wine and spirits shop on the corner of Commercial Road and Cannon Street Road, c.1912. 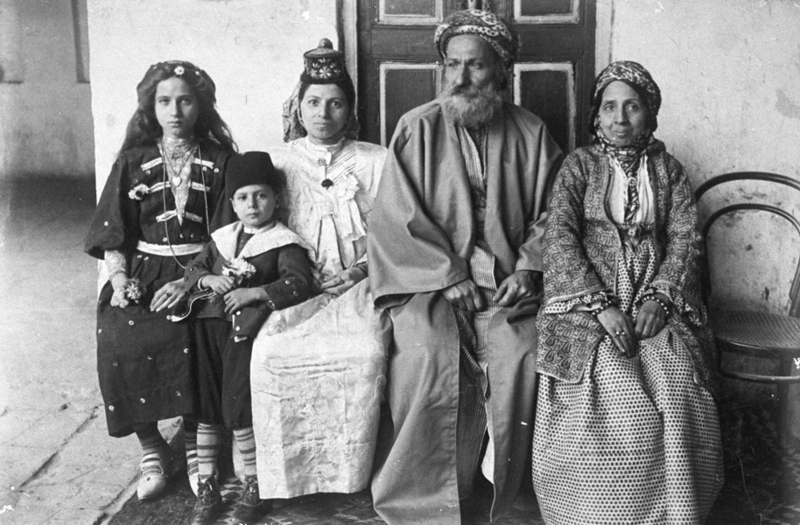 Chief rabbi Hakham Ezra Dangoor in Baghdad: Family of Iraqi Chief Rabbi Hakham Ezra Dangoor in Baghdad, 1910. This collection, previously housed at the Jewish Military Museum in Hendon, focuses on the stories of individual Jewish men and women who have served in the British Armed Forces for over three centuries. Curators Roz Currie and Sarah Fairhurst have integrated over 50 objects from the Jewish Military Museum’s collection into the Jewish Museum’s permanent galleries enhancing the displays with exciting new stories and bold images. Tommy Gould was awarded this Victoria Cross for outstanding bravery while serving on the submarine HMS Thrasher during World War II. Gould and his comrade removed an unexploded bomb wedged in the submarine’s outer casing saving the lives of all those on board. Adler was senior Jewish chaplain on the outbreak of the First World War. Noting the lack of religious support given to the 50,000 Jews serving he lobbied the Ministry of Defence to allow Jewish chaplains onto the front line. He sent notices and letters in advance of his visits so that Jewish soldiers could come together for services and Jewish High Holy Days. In this diary Oppenheimer describes her life as a nurse on a hospital ships in the Mediterranean including the devastation wrought by the Gallipoli campaign and the boredom aboard ship in between battles. Post-war she became the cookery writer, Florence Greenberg. Jessell’s medals, from the 1850s, are the earliest in the collection. Pre-emancipation, Jews could not gain a commission and it can be difficult to uncover stories of Jewish service. More is known about Jessell as he lived until he was in his late nineties and laid a wreath at the cenotaph in 1928. 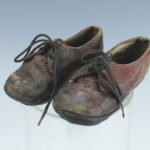 Over 1200 objects from the Jewish Military Museum collection have been digitized as part of the We Were There Too project. We Were There Too is a unique cross community project created to capture, record and preserve the impact, experience and contribution of London’s Jewish communities during the First World War era.